Do you have the rulebooks? 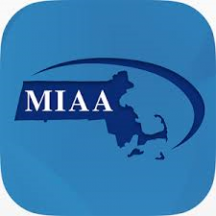 If not download the latest NCAA & MIAA Football Rules here. How to BLOCK DATES on the Arbiter? Watch this video and it will explain how to block dates on the Arbiter. Do you work football games played under Federation Rules (New Hampshire, some youth games)? If so, you will need to know that the rules are different from the NCAA football rules. This Five Person Mechanics manual will help officials know their position and techniques on the field during games with five officials. 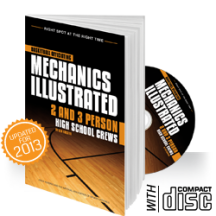 This Three Person Mechanics manual will help officials know their position and techniques on the field during games with three officials. All officials must take the annual free concussion course; don’t forget to print your certificate upon course completion. Do you have a LinkedIN account? If “yes”, ANEFO has a members only group where you can discuss officiating and football related topics as well as connect/network with fellow ANEFO members. Connect with our LinkedIN group administrator, John Mattuchio, for a group invitation.